Collider is a College Park, MD-based hackerspace founded in 2014. According to Cofounder Ibrahim Hashme, most member projects are focused on electronics (e.g., MCUs, PCBs, robotics, and radio). What are the most typical projects undertaken at your space? What sort of tools/equipment do you have at your space? Tell us about your space! Store all projects and hardware in cubbies. Two rooms, one hardware oriented and the other software. Each room is about 500 square feet. They are connected by an open wall. What’s the craziest, most exciting, and/or most innovating project your group or group members have completed? Everything was exciting but small scale so far, such as a virtual reality chair, a speed sensing tunnel, etc. We hold hacktorials everyThursday, where someone familiar with a certain field shares his expertise in a hands on workshop. We also are starting a mentor program. No weekly “hack nights” also occur. Recently we were forced to move by the University, and are still setting up in the new room. I created a secret knock door lock, and others did things too for the new space. Microchip Technology recently announced it signed a deal to purchase Atmel for around $3.6 billion. According to a January 19 report in the New York Times, Atmel terminated its earlier merger agreement Dialog Semiconductor and paid a termination fee of around $137 million. 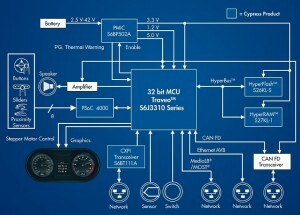 Cypress Semiconductor Corp. recently expanded of its automotive portfolio with the first series of its Traveo microcontroller family. The series features up to 4 MB of high-density embedded flash, stepper motor control, TFT display control, advanced sound output capabilities, and support for all in-vehicle networking standards. Otimized for high-end body and gateway systems, the new series provides the ability to embed more on-chip flash memory for advanced applications. In addition, the 40-nm Traveo microcontrollers make it easy to implement Firmware Over-The-Air (FOTA) updates. The new 40-nm Traveo S6J331X/S6J332X/S6J333X/S6J334X series offers a high-performance platform for classic instrument clusters. Based on the ARM Cortex-R5 processor with 240-MHz performance, it supports the CAN-FD automotive communication protocol for increased data bandwidth for faster networking. Additionally, Cypress introduced a transceiver for the Clock Extension Peripheral Interface (CXPI) designed to replace the Local Interconnect Network (LIN) automotive communication protocol. The Traveo S6J331X/S6J332X/S6J333X/S6J334X and S6J335X series is currently sampling and will be in production in the second half of 2016. It is available in 144-pin, 176-pin and 208-pin TEQFP packages. The S6BT11X CXPI transceiver series is sampling now. It is available in an 8-pin SOP package. Antenova Ltd recently added two new positioning antennas—Bentoni and Asper—to its suite of flexible FPC antennas. Intended for use in portable devices, trackers, and wearables, the Bentoni positioning antenna is designed for all the global public satellite constellations: GPS, GLONASS, Beidou, and GALILEO. A dual antenna with two separate antenna systems in a single form factor, the Asper combines a 1559-to-1609-MHz antenna with a 2.4-to-2.5-GHz antenna in the same part for positioning applications with wireless connectivity as well. It’s intended for sports cameras, trackers, wearable electronics, and more. The Bentoni and Asper antennas are the latest flexible FPC antennas in Antenova’s flexiiANT product suite. Supplied with a I-PEX MHF connector and a 1.13-mm RF cable (available in three lengths), you can fold them to save space within a device. ESS Technology announced its new flagship ES9038PRO SABRE DAC at CES 2016, generating immediate attention from audio manufacturers looking to raise the standard on new generation high-resolution audio products. The new ESS PRO SABRE 32-bit, 8-channel DAC chip goes the extra mile by offering the industry’s highest dynamic range (DNR) of 140dB with an impressive THD+N at -122dB. During CES 2016, ESS Technology announced its new professional series of Digital-to-Analog Converters (DAC) targeted at premium high-end consumer and professional recording studio equipment. The flagship offering for this professional series is the ES9038PRO SABRE DAC. This first member of the ESS PRO SABRE series sets a new benchmark in high-end audio by offering the industry’s highest dynamic range (DNR) of 140dB and offers impressively low total harmonic distortion plus noise (THD+N) at -122dB in a 32-bit, 8-channel DAC. As high resolution content proliferates through new, high-end music download services, users are looking for equipment that delivers the highest quality sound possible, regardless of file format or device. The ES9038PRO SABRE DAC sets a new standard for immersive and high-resolution audio (HRA) experiences. The ES9038PRO SABRE DAC features ESS’s patented 32-bit HyperStream DAC technology. The HyperStream architecture is responsible for both the outstanding sound quality of ESS PRO SABRE DACs and the extremely low THD+N. Other 32-Bit 8-Channel DACs, using typical delta-sigma architecture, feature –107 dB THD+N (0.0004%), which when subjected to individual listening tests do not equal the clarity and sound stage of the ES9038PRO. This new flagship SABRE DAC was created to integrate seamlessly with both the existing and future portfolio of ESS headphone amplifiers as well as other audio building block technology. New hardware features include full-scale manual/auto-gain calibration to reduce device-to-device gain error (allowing to configure multiple DACs for high channel count systems), option for programmable volume control ramp-rate with +18 dB, DSD over PCM (DoP) decoder and a total of eight preset filters for maximum design flexibility. Its programmable functions allow customizing outputs to mono, stereo, and 8-channel output in current-mode or voltage-mode based on performance criteria, together with user-programmable filters and programmable THD compensation to minimize THD caused by external components. For audio designers, the ES9038PRO SABRE DAC includes significant advancements over previous generations, simplifying the implementation of specific software and reducing debugging time. The volume level of all internal DACs can be updated with a single software instruction. Clock gearing reduces MCLK frequency and saves power – the chip has 500 mW power consumption at 192 kHz sampling and 100 MHz MCLK – while advanced power management features enable a low-power idle mode when the audio signal is absent. According to ESS, the ES9038PRO SABRE DAC was designed for premium home theater equipment including Blu-ray players, preamplifiers, all-in-one A/V receivers, and more. Studio environments can also leverage the ES9038PRO SABRE DAC’s industry-leading performance for professional audio workstations and other equipment. The PRO series enables studio professionals to recreate popular signature sound styles, using external DSP and specialized software packages, while remaining true to the artists’ musical vision. 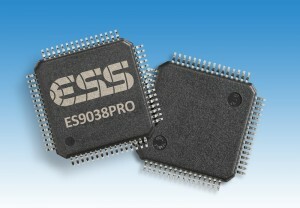 In addition to the SABRE ES9038PRO, ESS is also announcing other members of the PRO series – the ES9028PRO and ES9026PRO SABRE DACs. These 32-bit, 8-channel PRO series DACs are designed for the audiophile/enthusiast who demands the high quality and performance of a SABRE DAC at a more economical price point. The ES9028PRO and ES9026PRO are pin-compatible upgrades for previous generation ESS products — the ES9018S and ES9016S — and feature 129 dB and 124 dB dynamic range (DNR), and -120 dB and -110 dB total harmonic distortion plus noise (THD+N). Mitch Altman is an inventor (TV-B-Gone), hacker and traveler whose ideas will inspire many of us to join a hackerspace and get creative with the design community. Circuit Cellar recently met up with Altman at FabLab Berlin, Germany. Altman talks about hacking and presents a new synthesizer, which is a board with an Arduino, sound amplifier, and keyboard-shaped pads to play music. SEGGER recently released Embedded Studio PRO, which is an advanced platform that combines the company’s user-friendly Embedded Studio development environment, along with a selection of its key embedded software components, an industry-leading J-Link PLUS debug probe, plus an emPower evaluation board. SEGGER Embedded Studio (which was launched last year) is a streamlined but powerful IDE for ARM-based microcontrollers. 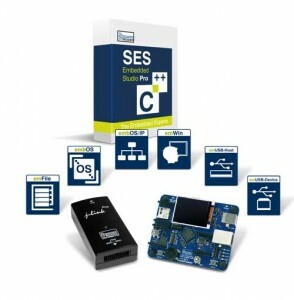 It is designed to provide all tools needed for professional embedded development. Supporting all major operating systems (Windows, Mac OS X and Linux), it presents a comprehensive solution for the implementation of embedded applications (with source code editing, compiling, and debug functionality all encompassed). Further components from SEGGER’s portfolio of middleware that are incorporated in the Embedded Studio PRO package help to expand the scope of development possibilities and reduce time to market. These include the embOS high-performance RTOS with zero latency, the emFile robust file management system, the emWin GUI for any application that operates with a graphical LCD, the embOS/IP TCP/IP stack for Internet connectivity and the emUSB USB stack with host and target side support. The package also contains a J-Link PLUS debug probe, with J-Flash software and sophisticated features such as unlimited flash breakpoints, SystemView analysis tool andMonitor Mode function. This is complemented by emPower, SEGGER’s new demonstrator board, which is designed to enhance software evaluation, prototyping and proof of concept. Embedded Studio PRO is supplied with sample projects to ensure a quick and easy start (including one for the emPower board which contains all the necessary middleware components). SEGGER Embedded Studio package is available for $12,400 as a Single Developer License for unlimited products on all Cortex-M cores. 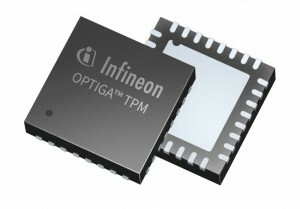 Microsoft currently uses Infineon Technologies OPTIGA Trusted Platform Modules (TPMs) in its newest personal computing devices, including the Surface Pro 4 tablet and the Surface Book. The dedicated security chips store sensitive data, including keys, certificates, and passwords and keeps them separated from the main processor, which further secures the system from unauthorized access, manipulation, and data theft. For example, the Microsoft BitLocker Drive Encryption application’s key and password are stored in the TPM. Microsoft’s personal computing devices rely on the OPTIGA TPM SLB 9665, which is the first certified security controller based on TPM 2.0. 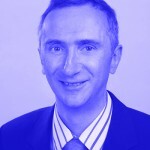 This standard was defined by the Trusted Computing Group (TCG). FTDI Chip recently announced an array of board level products to support its FT51A microcontroller. It executes an 8051 feature set that can operate at 48 MHz. In addition, it features a variety of interfaces, including USB client, UART, SPI, I2C, 245 FIFO, PWM, and GPIO. The USB hub feature enables multiple USB-enabled devices to be combined. The FT51A’s data conversion capabilities comprise of an 8-bit ADC. Its 16-KB shadow RAM accelerates read access of the core. The device draws 20 mA (typical) while active and 150 µA (typical) when in suspend mode. The FT51A microcontroller is suitable for a variety of applications, including industrial test instrumentation and sensor control. The FT51A-EVM evaluation module offers you several functions for learning about the FT51A MCU. It includes a 2 × 20 LCD display and several sensor mechanisms for data acquisition. Also included are a heart-rate monitor (with filtered and amplified analo output), a force sensitive resistor, and a SPI-enabled temperature sensor. Hexoskin recently chose Cypress Semiconductor’s Bluetooth Smart-based EZ-BLE PRoC module for use in its Hexoskin Smart biometric-tracking shirts. Hexoskin Smart shirts feature sensors that track cardiac, respiratory, and activity data. The EZ-BLE PRoC module collects this data and pushes it to a mobile device for analysis via the free Hexoskin app or other fitness app. The module’s low power consumption more than doubles the Hexoskin’s battery life. The compact (10 mm × 10 mm × 1.8 mm) EZ-BLE PRoC module complies with wireless regulatory standards in the US, Canada, Europe, Japan, and Korea. 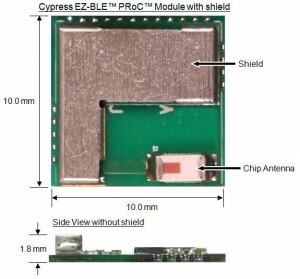 The BLE Pioneer Development Kit gives you easy access to the Cypress Bluetooth Low Energy devices. It includes a USB Bluetooth Low Energy dongle that pairs with the CySmart master emulation tool, converting a designer’s Windows PC into a Bluetooth Low Energy debug environment. The EZ-BLE PRoC module can be quickly and easily evaluated with the EZ-BLE PRoC Module Evaluation Board, which plugs into the BLE Pioneer Development Kit ( $49). Texas Instruments launched three new devices for 24-V stepper motors. Two devices offer TI’s AutoTune technology to eliminate stepper motor tuning and two integrate current sensing to support differentiated 3-D printers, robotics, factory automation equipment, and other applications. AutoTune technology on the DRV8880 and DRV8881 devices eliminates the time-consuming, iterative process of manual tuning. This monitors motor performance over its lifetime and adjusts decay settings. As a result, it’s possible to develop motors that run quietly and efficiently despite changes in motor properties, supply voltage, load, and torque. For motor systems that do not require AutoTune technology, engineers can use the new DRV8885 bipolar stepper motor driver with integrated current sensing. Designers can speed evaluation and design with the new stepper-motor drivers using the following evaluation modules (EVM), each of which features an onboard MSP430 microcontroller : DRV8880EVM, DRV8881EEVM (for phase/enable interface), DRV8881PEVM (for PWM interface) and DRV8885EVM. Pricing in 1,000-unit quantities starts at 1.92 for the DRV8880 and US$1.60 for the DRV8881. The DRV8885 (available in a 24-pin HTSSOP package) starts at $1.50 in 1,000-unit quantities. The DRV8884 will be available soon in a 24-pin HTSSOP package for $1 in 1,000-unit quantities. 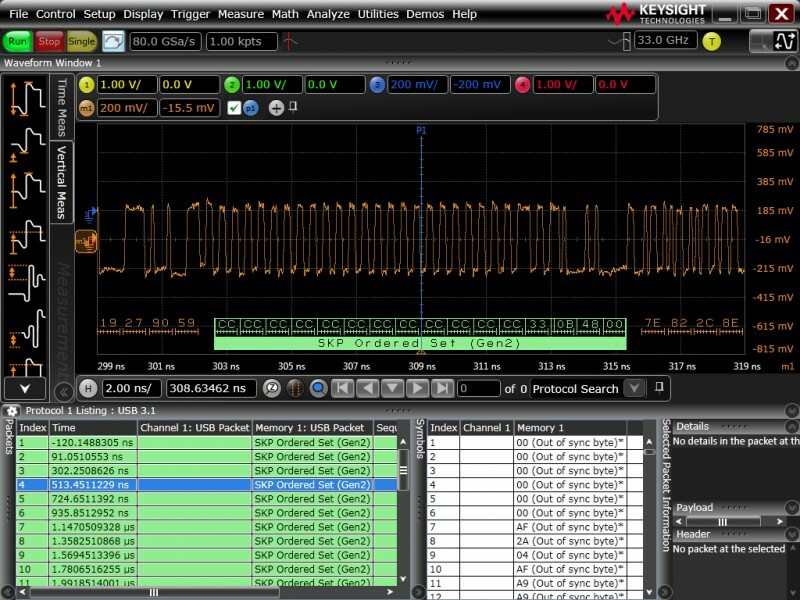 Keysight Technologies’s new oscilloscope-based USB 3.1 Gen 2 10-Gbps protocol decode software features real-time triggering and protocol decode performance. Intended to help you verify and debug devices that implement the 128b/132b encoding technology, the Keysight N8821A USB 3.1 protocol trigger and decode software enables you to quickly see protocol decode, search with protocol-level triggers, and use time-correlated views to troubleshoot serial protocol problems back to timing or signal integrity. 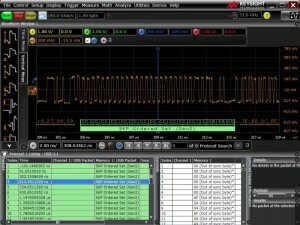 Additional information about Keysight’s new N8821A USB 3.1 protocol trigger and decode software is available at www.keysight.com/find/n8821a.